The ultimate moisturizing for sensitive and highly stressed feet. 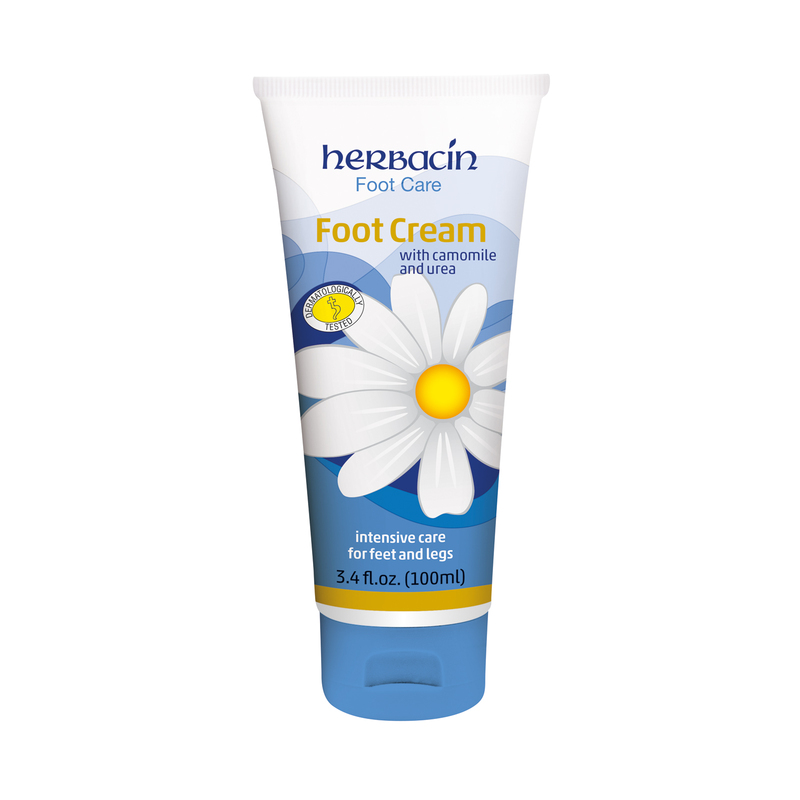 Herbacin Foot Care Cream with camomile and urea provides ultimate moisturizing for sensitive and highly stressed feet. Natural oils of camomile extract, allantoin and panthenol soothe and regenerate the skin. Carnosine and Vitamin E bind free radicals to strengthen the cell membrane. Carnosine reduces the reaction between sugar molecules, collagen and elastin fibers, enhancing your skin’s elasticity and delaying its aging. Massaged daily into clean, dry skin, Herbacin Foot Care Cream also prevents cornea, calluses and cracks, keeping feet looking and feeling their best.